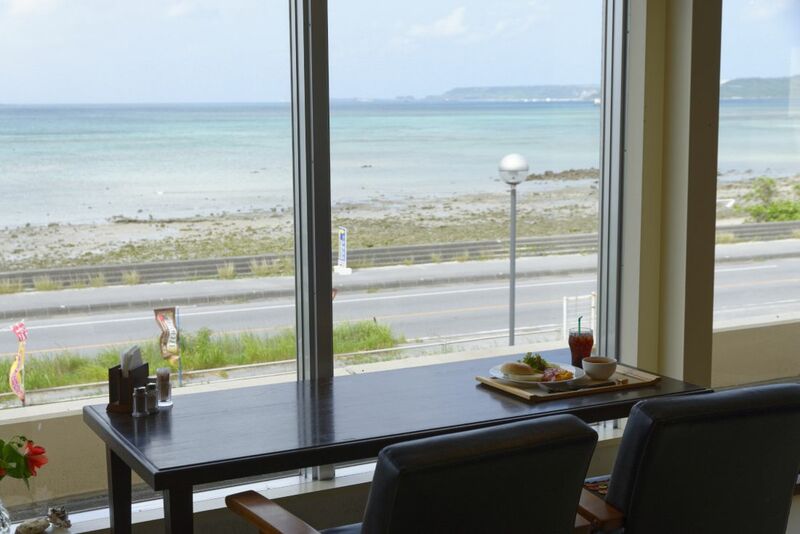 where customers can eat a delicious breakfast while they gaze at the ocean. whose scenery changes constantly throughout the day. 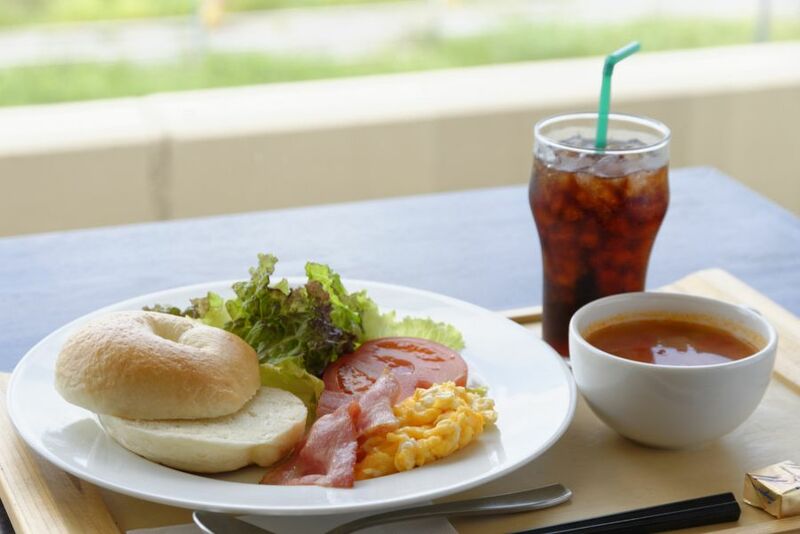 Their new breakfast menu includes a vegetable filled “morning plate” with an optional side of shellfish soup. local grown vegetables, egg and bacon! along with their home made fluffy bagels. handmade in the same very same building. 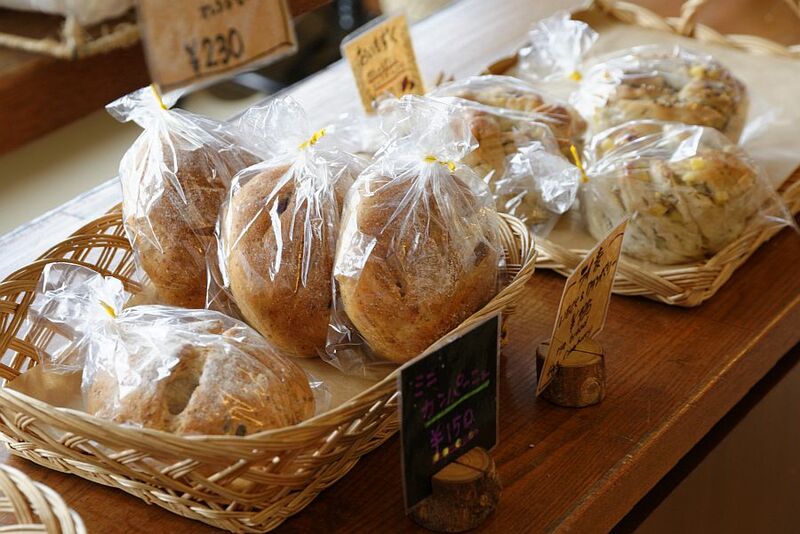 and their beloved Walnut Bread to provide a wide variety of flavours. 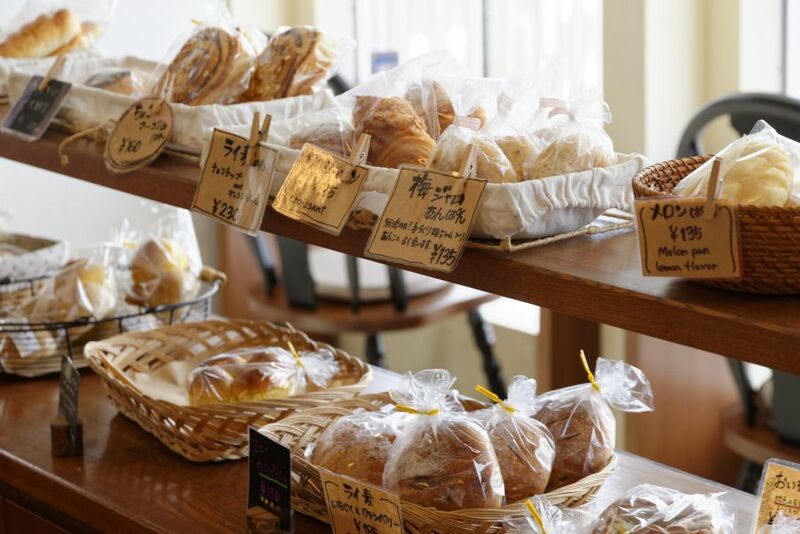 Nowhere else will you find such a large variety of fresh just baked bread. the Chukai Road and it’s various connected islands. and mothers relaxing after sending their children off to school. More recently, there are also several young women preparing for the start of their workday. 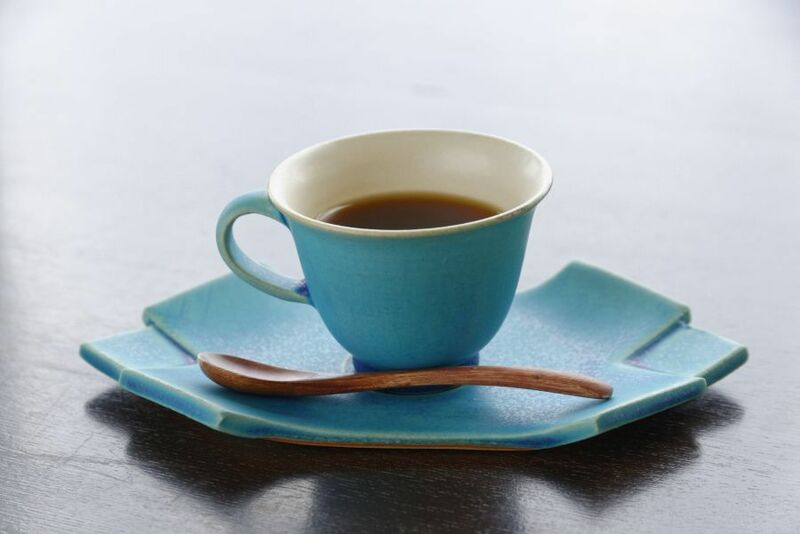 whose blue cups and saucers seem to expand before the eye like the endless ocean. 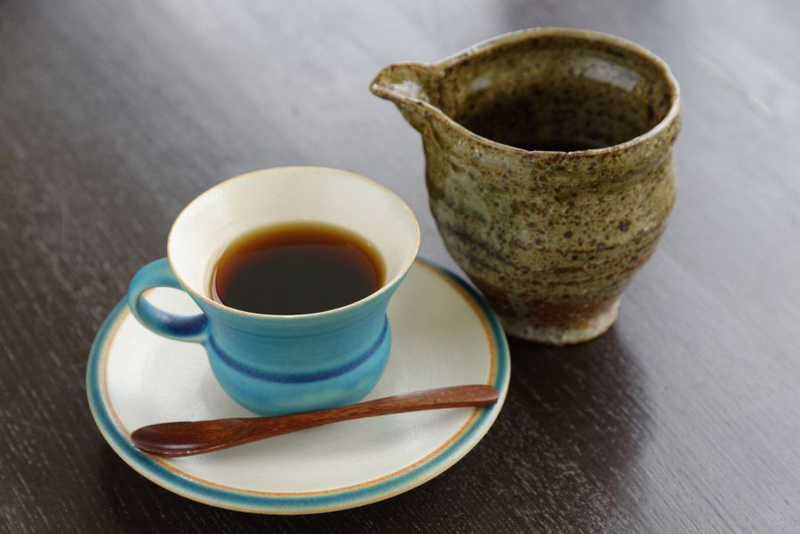 and brewed coffee beans taken from all over Japan. 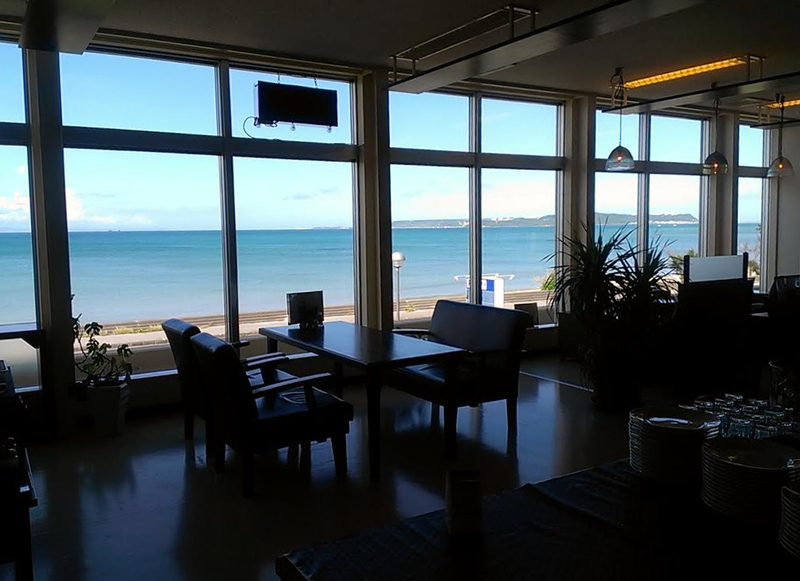 The cafe has a cheery atmosphere, filled with smiles from both customers and workers. 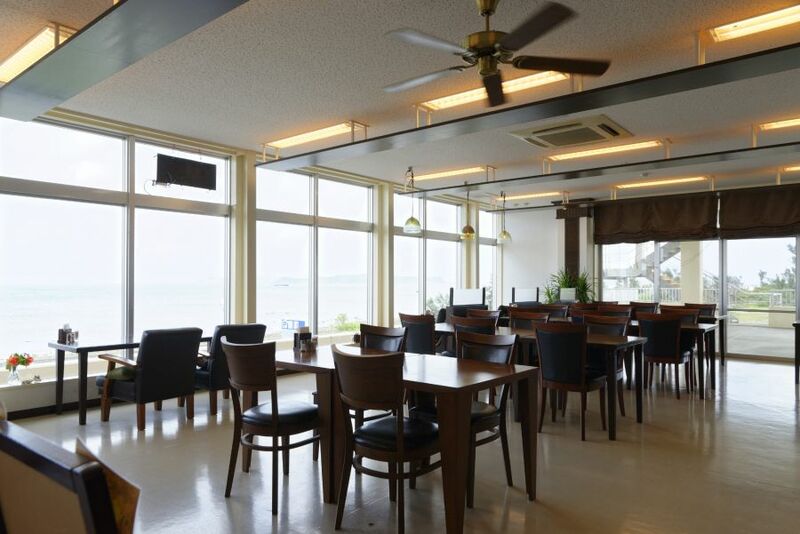 In fact, many customers visit frequently for light conversation and considerate service. with a relaxing experience (and of course, their love of ukuleles). 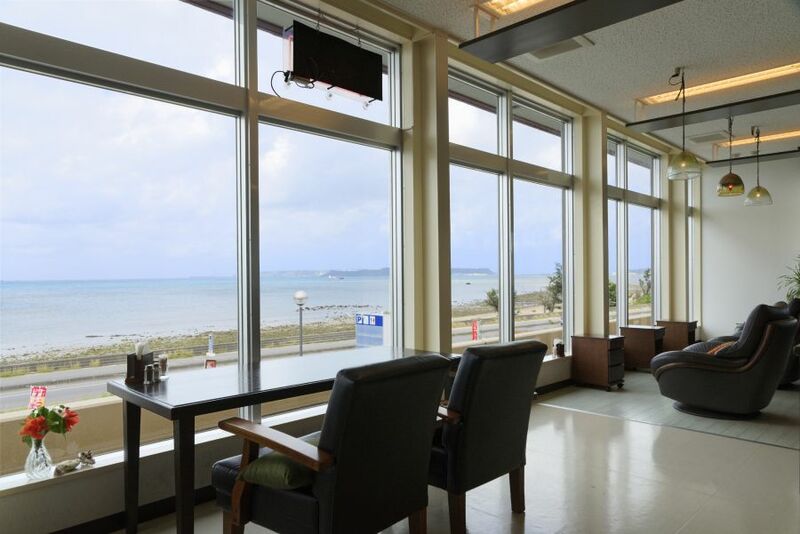 take a little detour to Cafe Yukulele for a meal made straight from the heart and relax in the open atmosphere.